"Who Are You, Jesus?" Kathryn Matthews, UCC, 2018. The Adventurous Lectionary, Pentecost 17, Bruce Epperly, Living a Holy Adventure, 2018. Process in Faith, Jeanyne Slettom, Process in Faith, 2018. "Jesus Rejects the Title, 'The Christ','" D Mark Davis, raw translation and exegesis/questions, Left Behind and Loving It, 2012. Points for Preaching and Teaching, 2015. The Lectionary Lab, Proper 19B, the Rev'ds Dr. John Fairless and Delmer Chilton (aka "Two Bubbas and a Bible"), 2012. Girardian Reflections on the Lectionary, Proper 19, by Paul Nuechterlein & Friends. Jesus Now, Proper 19B. Lectionary, study and worship resources from Faith Futures Jesus Then & Now. Rumors, for September 13, 2009, Ralph Milton, "Sermon helps for preachers with a sense of humor." Jesus' lesson in large-hearted theology, Bruce Epperly, Living by the Word, The Christian Century, 2018. "Living the Question," Debie Thomas, Journey with Jesus, 2018. "Who Do You Say that I Am?" Karoline Lewis, Dear Working Preacher, 2018. "Identity Crisis," commentary and discussion, RevGalBlogPals, 2018. 11th hour preachers party. "Then and Now: Picking Up Our Crosses," Janet H Hunt, 2018. "Setting Your Mind on Divine Things," Janice Love, Ekklesia Project, 2018. "The Politics of Victimhood and Shame," J. Leavitt Pearl, Political Theology, 2018. A Provocation of the Gospel, Richard Swanson, provokingthegospel, 2018. "Peter's Rebuke," Todd Weir, 2018. "Wisdom's Call," Bob Cornwall, Ponderings on a Faith Journey, 2018. Lectionary Greek, Rob Myallis, 2018. Earthkeeper's Preaching, Helen B. Hanten, 2018. "Christ the Disciple," Glenn Monson, Law & Gospel Everywhere, 2018. "Wisdom Cries Out," Art & Faith Matters, Lynn Miller, celebrating our creative and living God by generating art and architecture resources for congregations and individuals. Art and Faith Matters facebook page contains additional resources. "The Danger of the Tongue," Connections, Next Sunday Resources, 2018. "Intriguing, Elusive, Captivating and Crucial," David Lose, ...in the Meantime, 2015. "Location Matters," Karoline Lewis, Dear Working Preacher, 2015. "Free Speech: A License to Destroy or a Responsibility to Build up?" Walter Brueggemann, ON Scripture. Includes discussion questions. Video: 5 Things You Didn't Know About Free Speech. "Voice and Ear," commentary and discussion, Rev Gal Blog Pals, 2015. Don't forget Saturday Night Preacher Party! "That Photo," Katie Munnik, Presbyterian Record. "Stupendous and Scandalous," Dan Clendenin, 2015. "Finding Our One Thing," Beth Scibienski, 2015. "Holy Fools?" Bob Cornwall, Ponderings on a Faith Journey, 2015. "Sticks, Stones, and the Power of Words," Eric D. Barreto, ON Scripture, Odyssey Networks, 2012. "Preaching the Anti-King," David Lose, Working Preacher, 2012. "Toxic Talk and the Virtue of Silence," Dan Clendenin, The Journey with Jesus, 2012. "Is Your Martrydom Also Dicsipleship?" Peter Woods, I Am Listening, 2012. "The Eternal Search for Wisdom," John C. Holbert, Patheos, 2012. "Taking Up Our Crosses," Janet Hunt, Dancing with the Word, 2012. A Different Heresy, Peter Lockhart, 2012. "Finding and Losing Life," Alyce M. McKenzie, Edgy Exegesis, Patheos, 2012. "Taming the Tongue," The Journey with Jesus: Notes to Myself, Daniel B. Clendenin, Journey with Jesus Foundation, 2009. 2006 reflection. "Setting Nature on Fire," Halden Doerge, The Ekklesia Project, 2009. "A Simple Question," Anna Carter Florence, A Sermon for Every Sunday, 2018. "Surprised by the Cross?" William Willimon, A Sermon for Every Sunday. 2015. "Tame Your Tongue," Magrey deVega, Day1, 2018. "Following Jesus Is For Losers," the Rev. J.C. Austin, Day 1, 2012. Ministry Matters, September 13, 2018. "The Heartbreaking Messiah," the Rev. Dr. David Lose, Day 1, 2009. "Christ and Everything Else Thrown In," The Rev. Peter Marty, Day 1, 2006. "Who Are You, Jesus?" Kathryn Matthews, Weekly Seeds, 2018. "Taming the Tongue," study guide for adults, Robert B. Kruschwitz, (other resources at) "The Letter of James," Christian Reflection, The Center for Christian Ethics at Baylor University, 2012. Focus article: "Taming the Tongue," by Todd D. Still. Liturgy and Hymns, Stephen M. Fearing, 2018. Creation Season resources using RCL texts, Bosco Peters, 2015. Mustard Seeds, Proper 19, 2015. A lectionary-based ideas resource for leaders of contemporary worship, Ann Scull, Gippsland, Australia. Worship and Liturgy Resources, Ordinary 24, by Rev David Beswick, Uniting Church in Australia. Lector's Notes, Ordinary 24, Gregory Warnusz, Saint Jerome Parish, Bellefontaine Neighbors, MO. Notes and commentary for those reading this week's lectionary texts to the congregation. The Timeless Psalms: Psalm 19, Joan Stott, prayers and meditations based on lectionary Psalms, 2012. The Timeless Psalms: Psalm 19, Joan Stott, prayers and meditations based on lectionary Psalms, 2015.
re: Worship, Proper 19, 2018. HermanoLeón Clipart, Ordinary 24B. Free clipart, backgrounds, slides, etc. Clip Art Images: Mark 8:27-38, Misioneros Del Sagrado Corazón en el Perú. Ordinary 24 at Cerezo Barredo's weekly gospel illustration. Follows Latin American Roman Catholic gospel reading, though most gospels texts/themes are found in the index. Liberation emphasis. "Do You Wonder," Brenton Prigge, 10.10.11.11, NewHymn, 2006. 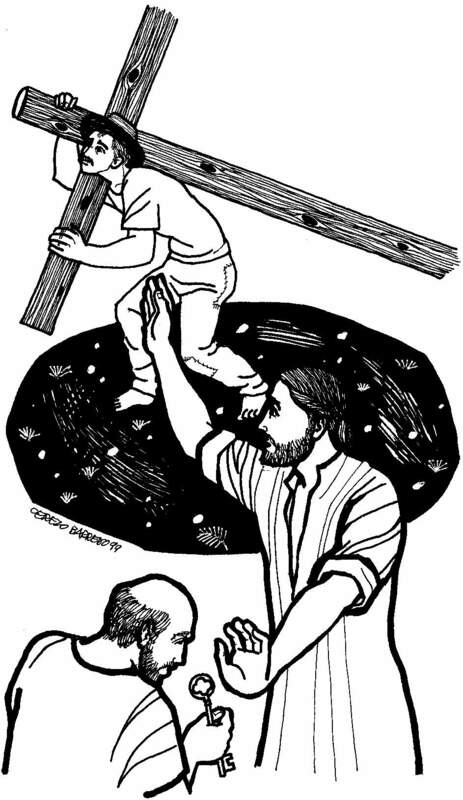 "Take Up Your Cross," Brenton Prigge, LM, NewHymn, 2005. Hymns of the Spirit Three, Proper 19B, Richard E. Hurst, Universalist National Memorial Church. Psalm 19, Isaac Everett, commentary and exegesis by Samir Selmanovic, The Emergent Psalter, 2009. Psalm 19 set to Aurelia (76 76 D), Psalm 116:1-9 set to St. Catherine (88 88 88), Psalm Settings by Dale A. Schoening, Metrical Psalms. Lectionary Hymns, Ordinary 24B, National Association of Pastoral Musicians. Choral Anthem Project, Ordinary 24B, National Association of Pastoral Musicians. Suggested Hymns from the New Century Hymnal, United Church of Christ, 2009. Worshiping with Children, 2015, Including children in the congregation's worship, using the Revised Common Lectionary, Carolyn C. Brown, 2012. "Storypath Lectionary Links: Connecting Children's Literature with our Faith Story," 2018, Union Presbyterian Seminary. "Tongue Twisting," Frances Woodruff, On the Chancel Steps, 2012. Nerd Glasses, Dollar Store Children's Sermons, 2015. 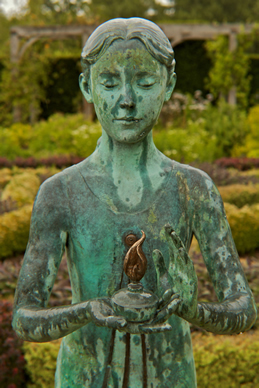 "The Gratitude Attitude," Sharron R Blezard, Stewardship of Life, 2012. Story for Children's Worship and Family Activity, Ordinary 24, at word-sunday.com: A Catholic Resource for the Lectionary by Larry Broding. Weekly Devotion, Faith Formation Journeys, 2018.